With 5 days to go it will be Christmas. 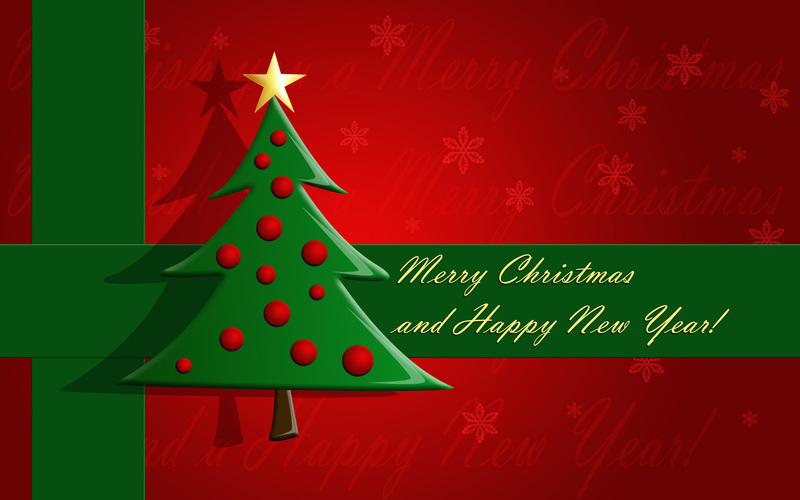 Therefore I wish you all a Merry Christmas & a Happy New Year. See you all back in 2018! Please know that for now the tier selection has to be set on blob level, because you can’t select the required tier on account nor on container level. Hopefully this will change in the future. Want to know more? Go here and also read the comments as well. Finally the classic Azure portal (https://manage.windowsazure.com/) will be retired. The retirement date (also referred to as the ‘sunsetting date’) is set for January 8, 2018. So from that date on, only the current Azure portal (https://portal.azure.com/) will be available. This is good news, since it will streamline the overall Azure management experience. Want to know more? Go here, to read an earlier posting about the same retirement. Microsoft has recently published a new free ebook, all about implementing Azure. As Microsoft describes this ebook: ‘…(it) offers both a high-level overview of topics and specific tactics. Regardless of where you are personally focused in infrastructure, data or application arena, there are important concepts and learnings here for you…’. Go here to download your free copy today. For some time now Microsoft has published a free ebook all about how to establish a strategy and execute the migration to Azure. For anyone involved with Azure, this ebook is a must read. Go here to download your free copy today. This product has covered many miles, first started as Microsoft Operations Manager (MOM). Mind you, Microsoft didn’t develop it themselves, instead they bought the rights of it in early 2000 from NetIQ. Even though MOM had a refresh in 2005 (branded MOM 2005), the product had some serious issues. As such Microsoft rewrote MOM from the ground up, resulting in the release of System Center Operations Manager (SCOM) 2007 in the same year as the name implies. From that year on SCOM got an ever growing install base, driving sales resulting in huge investments in SCOM. SCOM 2007 had some serious bugs and soon SCOM 2007 R2 was released, followed by SCOM 2012, SCOM 2012 SP1 and SCOM 2012 R2. This release cadence ran from 2007 (with the release of SCOM 2007 RTM) up to the end of 2013 (release of SCOM 2012 R2 RTM). However, in the later years, Microsoft’s new future started to take more shape, moving away from software developer to the role of service provider with Azure at the center of its new focus. Up to the release of the System Center 2012 R2 stack this new focus didn’t cause too many side effects on the on-premise product line of Microsoft. Things started to get in overdrive however when Satya Nadella succeeded Steve Ballmer in 2014. With an impressive track record as the senior vice-president of Research and Development for the Online Services Division and vice-president of the Microsoft Business Division, he knew the power of the cloud. Satya Nadella enfolded the Mobile First – Cloud First strategy, making clear that anything else come second (at it’s best…). The result of this new strategy clearly shows in the release of System Center 2016, containing SCOM 2016. Whereas other new releases (SCOM 2007 > SCOM 2007 R2 > SCOM 2012 > SCOM 2012 SP1 > SCOM 2012 R2) were really upGRADES, the SCOM 2016 release is actually nothing more but an upDATE. On top of it all, the development of SCOM has moved to India. Please don’t get me wrong, since the people in India working on the development of SCOM are very smart and bright. But they are working with fewer people compared to the ‘old days’ and do have a far lesser budget available. For sure, SCOM 2016 still has a lot to offer. None the less, it’s based mostly on previous investments. Perhaps the new release cadence for System Center 2016 (as such for SCOM 2016 as well), to be expected in 2018, will bring relief and a clearer vision. This new release cadence will align more to the Windows Server semi-annual channel. Hopefully Microsoft will deliver on its promise that the first release wave will focus on SCDPM, SCVMM and SCOM. Until then, the roadmap of SCOM is unsure, as is it with the rest of the System Center stack, SCCM excluded. For now: OMS isn’t SCOM. OMS is all about (enhanced) log analytics, enriched with certain solutions enabling web service application monitoring. Yet, OMS is still a far cry from the enriched monitoring offered by SCOM. For instance, alerting in OMS is quite a challenge. Also monitoring in OMS is stateless, simply because it doesn’t detect objects and doesn’t contain anything like a health model. Sure, OMS could/should deliver monitoring in a different manner, thus making objects obsolete, but until now there are no signs of this new approach. Therefore, based on todays world, OMS isn’t SCOM. Sure you can combine both but they can’t replace one another. Sure, I would love to see otherwise. But the world is moving on and Microsoft has decided to put SCOM on the back burner without offering other real monitoring alternatives by themselves. This creates a gap which other companies are more than happy to fill. Of course, Microsoft’s marketing department tries to sell OMS as the ‘one-size-fits-all’ solution, covering everything. But reality tells us a different story all together. Combined with the ever changing pricing and licensing schemes for OMS, makes it even a harder sell. Perhaps I am missing the bigger picture here, but this is what I see and experience from my perspective. Don’t be afraid to share your thoughts/experiences here. Feel free to comment on this posting. SCOM isn’t going to the cloud at all. Sure you could install SCOM on Azure based VMs. But that isn’t the point. SCOM won’t be ported into a cloud based version. Nor is OMS at this moment capable of replacing the monitoring functionality of SCOM. And this makes me wonder. Feels like Microsoft is turning away from a good product, without offering a real cloud based alternative. OMS doesn’t cut it yet as a monitoring solution. Perhaps later on this functionality will be added, but even then it’s important to see how it works out and what one has to pay for it. Despite all of this it’s clear that SCOM isn’t going to be around for tens of years. Sure like the rest of the System Center 2016 stack it has Mainstream Support till 11th of January 2022. Until then updates, patches and the lot will come out. But after that? I have no idea. Running SCOM 2012x? Upgrade to SCOM 2016. When you’ve got a SCOM 2012x environment in place, changes are your company has already paid for the System Center 2016 licenses. In situations like this it always pays off to upgrade to SCOM 2016 and later. SCOM is still a strong monitoring solution, capable of covering heterogeneous and hybrid environments, with a strong capability of customized monitoring. Not running SCOM but looking for a monitoring solution? However, when not running SCOM and looking for a monitoring solution, I recommend to compare SCOM 2016 with alternatives which have clearer road maps. While you’re at it, make sure the monitoring solution offers coverage of hybrid workloads, meaning cloud and on-premise. With the shift to the hybrid world, network connections do get even more important. Therefore comprehensive network monitoring (not only limited to the device, but the flow as well) is crucial as well. Many times companies end up with heterogeneous monitoring solutions in order to cover all their monitoring requirements. And most of the time, those solutions aren’t Microsoft based. For more details, read the related postings. - SCVMM: For now okay, but in time moving to Azure. Microsoft offers many FREE webinars all Azure, to be found here. These webinars are a good source of information about the power of Azure. This webinar series will address common challenges that engineers and developers face when designing cloud-based solutions. Each webinar in the series will focus on a set of design patterns that address a fundamental design challenge. Our speakers will address a set of cloud design patterns that can help improve the uptime of your applications. We will discuss health endpoint monitoring, queue-based load leveling, and throttling. Resiliency is the ability of a system to gracefully handle and recover from failures. This webinar will feature a conversation talking through key patterns including: Retry, Circuit Breaker, Compensating Transaction, and Bulkhead. Scalability is ability of a system to process increased throughput proportionally to the capacity added. Cloud applications typically encounter variable workloads and peaks in activity and this webinar will focus on the smart use of patterns to mitigate issues and deliver an excellent experience. You can register for FREE and watch these three webinars on demand. Go here to register. NiCE & Savision are going to present a joint webinar on Wednesday 13th December at 16:00 CET (10:00 EST), all about the Active O365 MP for SCOM, combined with Savision Live Maps. This webinar is free and allows for a good impression of the capabilities of this MP, combined with some smart dashboarding. Presenters are Christian Heitkamp (NiCE) and Justin Boerrigter (Savision). So when running SCOM and using Office 365, this webinar is worthwhile to attend. Want to know more and register? Go here. For some time already SquaredUp has a strong focus on supporting the SCOM community. And they go about it as they attend to their business: Straightforward, no small print in their contracts/agreements, or any other BS (excuse my French ) for that matter. I totally agree with them. However, the same SCOM community also poses an unforeseen ‘risk’ of some kind. Not a bad one that is, but still one which needs to be addressed. Because of the SCOM community there are MANY good Management Packs (MPs) out there, enriching SCOM and the monitoring breadth and depth. But WHERE to find those MPs? Well, about EVERYWHERE on the internet? And herein lies the ‘risk’: Unintentionally you’re missing out on the best SCOM community MPs, thus making your life too hard. Or worse, you’ve got a certain awesome SCOM community MP imported in your environment. But how are you sure it’s ‘the latest & greatest’? Wouldn’t it be totally awesome to have an overview of all the BEST SCOM community MPs out there, right in your SCOM Console? This is exactly what SquaredUp delivers! A view of all the SCOM community MPs you have installed, including details of your current version, the latest version available and the download location. And true to the nature of the SCOM community, this MP is available for FREE. Sure you can register yourself, but it isn’t required! An awesome SCOM Console extension and therefore an absolute MUST HAVE for any SCOM environment. For the MP and all the details go here. A BIG thanks and thumbs up for SquaredUp!